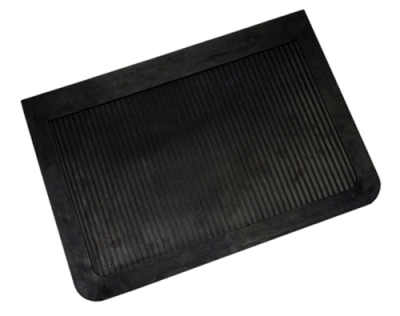 An assortment of rubber mud flaps for trucks, SUV's, Cars and motor homes. What makes a rubber flap so special? It's a mix between durability and performance. 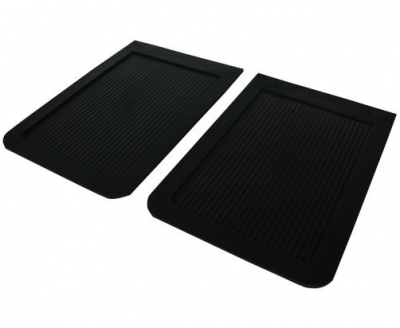 Each rubber mud flap is crack resistant and designed for extreme hot and cold temperatures. In today's market, most manufacturers are moving to polyethylene aka plastic mud flaps. Why? Because they are custom molded to fit today's trucks. This is where we come in! 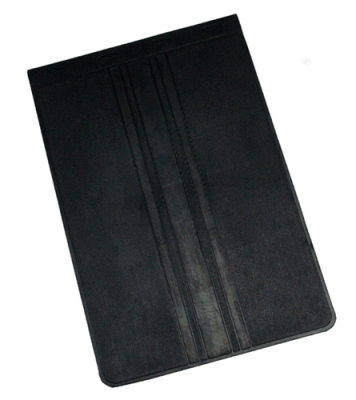 Highland Contura makes durable and inexpensive rubber flaps starting at $6.95. Sizes start at 7" x 13" up to 20" x 14". Luverne makes a high quality, thick rubber mud flaps with stainless steel weights at the bottom. These flaps are available for Ford, Dodge, Chevy and GMC trucks. Available sizes are 12" x 20", 12" x 23" and 20" x 23". Browse our full selection of rubber mud flaps below and order with confidence!